Providing a platform for pianists to advance their musical study and achieve artistic growth. 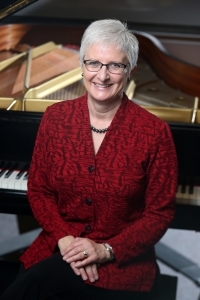 Since 2013 the Spokane Piano Competition is an event that offers students and teachers a unique opportunity to perform, compete, learn and improve. The SPC provides a platform for piano students to practice, perform and receive feedback about their overall musical ability. The SPC scorecards provide immediate feedback. Scores are received within minutes of the performance and can be utilized for prompt evaluation goal-setting and advancement. A written score explanation may also be purchased! The competition gives each student three avenues for success. The SPC provides students with a tangible goal to incorporate musical artistry, technical ability, and performance skill during their practice and preparation. Scores provide a base for improvement. With five areas of evaluation, students and teachers will quickly see the student’s strengths and those areas that need improvement. The SPC provides reward and motivation for students to improve their overall musical presentation. Competition can be individualized with the goal of improving their score each succeeding year, and the awards and prizes used to evaluate progress and ability within the specific music and age category. Spokane Piano Competition is a new event which offers students and teachers a unique opportunity to perform, compete, learn and improve.